The Best Plant Nursery Blogs from thousands of Plant Nursery blogs on the web using search and social metrics. Subscribe to these websites because they are actively working to educate, inspire, and empower their readers with frequent updates and high-quality information. 2.10 Mortimer Nursery & Landscape Co.
Plant Nursery newsletter is a comprehensive summary of the day's most important blog posts and news articles from the best Plant Nursery websites on the web, and delivered to your email inbox each morning. To subscribe, simply provide us with your email address. About Blog Crocker Nurseries is plant nursery situated on 7 acres of land. We sell thousands of varieties of annuals, perennials, trees and shrubs along with all gardening accessories and decorations. Subscribe to our blog for educational articles that will help you create the garden that you have always wanted. Herstmonceux, East Sussex About Blog Our family-run nursery has an enviable reputation for growing premier Conifers, Trees, Shrubs and for providing an extensive range of Sundries and Gifts for the discerning gardener. We offer the finest Shrubs, Conifers, Ornamental trees, Large specimen trees, Climbers, Roses, Azaleas and Rhododendrons, Alpines, Herbs and Vegetables. Subscribe to keep up with company's blog updates. Facebook fans 2,196. Twitter followers 575. North Devon About Blog Welcome to our plant mail order site for the UK. We hope you will find lots of plants of interest - herbaceous perennials, lupins, trees, clematis, climbers, bulbs and corms. We are here to help gardeners with the techniques and management tips to follow in any seasonal changes that can affect plant growth. Facebook fans 400. Twitter followers 3,693. About Blog We are a garden center located in Marble Falls, TX in the Texas Hill Country Highland Lakes area. You will find everything from orchids, vegetables and herbs, trees, landscape shrubs, perennials, annuals, pottery, fountains, and garden gift items. We specialize in organic gardening solutions but carry a wide variety of chemical gardening solutions as well. So for more knowledge and to follow it at home subscribe with us. Facebook fans 2,582. Twitter followers n/a. Maple Grove, MN USA About Blog We produce plants for our retail garden center, landscape installations, commercial installations, wholesale, and our fundraising program. See what is new at Lynde Greenhouse & Nursery and stay up to date on all the behind the scenes action. Learn about sales and promotions and what we do on a daily basis. It's a place to learn and share what you think about each topic. Facebook fans 1,619. Twitter followers 443. Lincoln, NE About Blog Campbell's Nurseries has been homegrown and family owned since 1912. We offer you a hometown full service solution for all your landscaping, planting and gardening needs. Follow Campbells with all your garden and landscape needs. Facebook fans 3,109. Twitter followers 46. Exeter About Blog At St Bridget Nurseries we have been growing plants on our nursery in Exeter since 1925. We have different varieties of plants including shrubs, roses, herbaceous perennials, conifers, seasonal crops, ornamental & fruit trees. Our garden centres have something for everyone whether you are a novice gardener or an expert. Read our latest blog posts with hints and tips to get the most out for your garden. Facebook fans 350. Twitter followers 193. About Blog Sargent's Nursery located in Red Wing MN is a Garden Center offering extensive services including Landscape Design and Installation. As a family owned business Sargent’s offers you something very different from the big-box stores. Follow this blog for gardening tips and latest events happenings. Bramhall, Cheshire, SK7 2LD About Blog Ladybrook Wholesale plant Nursery of Cheshire, is one of the region’s premier wholesale plant nurseries, specialising in all sorts of plant specimens. Here you will find a selection of blog articles on plant libraries, our specialist stock and general industry topics. Facebook fans 38. Twitter followers 838. 10. Mortimer Nursery & Landscape Co.
About Blog The nursery is filled with thousands and thousands of beautiful plants, all ready to make there way to your home, business, or outdoor living space. We offer information regarding nursery center where we sell trees, shrubs, flowers, vegetables, irrigation supplies, fertilizers, pest control supplies, and landscape rock materials. Follow for more knowledge. About Blog Robert wanted a wholesale plant nursery so he started a place to grow his own plants and trees to supply his landscape business. The local Fife Garden Centre stocked every plant we can ever need for the landscaping endeavours. Here you will get to know about the plants required for the endeavours. England About Blog Osberton Nurseries is a family run nursery owned by me, Will Murch, that lies in the heart of Nottinghamshire and has been growing Rhododendrons and Azaleas. For more upates for these special plants, follow us. About Blog Our project is all about providing plants of guaranteed local origin. Plants used in conservation planting often originate or grow in other countries. We are known for growing and selling Sussex local-origin native trees and hedgerow shrubs since 1997. Get updated about Sussex origin for their full range. About Blog We offer edibles including fruit trees, berries, kiwis, figs, hops, herbs and organic vegetables for all seasons. We also provide tips for gardening. For more of featured plants and techniques follow the page. 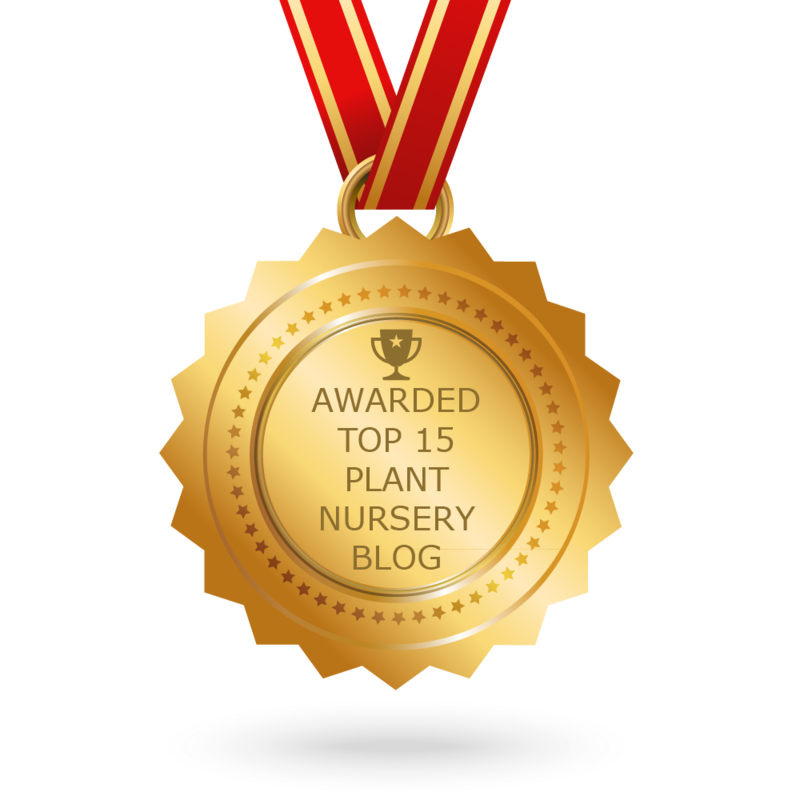 CONGRATULATIONS to every blogger that has made this Top Plant Nursery Blogs list! This is the most comprehensive list of best Plant Nursery blogs on the internet and I’m honoured to have you as part of this! I personally give you a high-five and want to thank you for your contribution to this world.